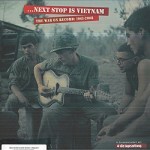 We just received this beautifully produced box set from Bear Family Records documenting the recorded legacy of the Vietnam War. The collection contains 13 CDs and a 300 page book that features the label’s typically rich detail about the music, an essay about soldiers’ preferred songs, and a foreword by Country Joe McDonald. Besides well-known songs by Phil Ochs, Buffy Sainte-Marie, Edwin Starr, John Lennon and others, one finds here many lesser-known tracks and songs written by soldiers themselves. Archival recordings range from Anita Bryant’s PSA for Patriotism to an excerpt from Jane Fonda’s Hanoi press conference on August 14, 1972. 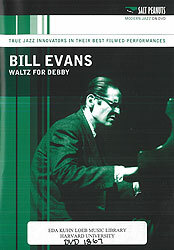 Just in are two DVDs featuring Bill Evans in trio recordings taken from several different points in his career. 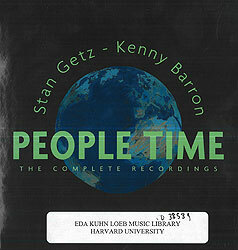 The first DVD, Waltz for Debby, includes television broadcasts from London in 1965 and New Jersey in 1971. The other, But Beautiful, comes from 1979 and highlights Evan’s final regular trio with Marc Johnson on bass and Joe La Barbera on drums. That trio is the same group he played with at the Harvard Jazz Band concert in 1980, a performance which Tom Everett recently recounted during the 40 years of Jazz at Harvard celebrations. 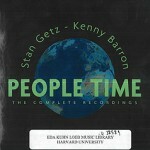 And finally, we recently acquired the complete set of recordings made by Stan Getz and pianist Kenny Barron at the Café Montmartre in Copenhagen on March 3-6, 1991. 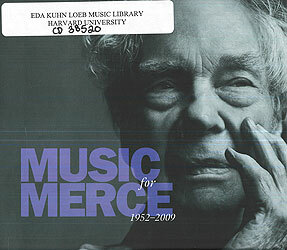 Made just months before Getz’s death in June of that year, some of these performances were originally issued on two Verve CDs in 1992. Now Sunnyside Records via Universal Music France has put out the entire four nights (7 CDs of music), and the set includes both the original 1991 notes by Kenny Barron and new notes written by Gary Giddins. Among the Merritt Room’s holdings are several continuity scripts for classic musicals, including one for Les Girls (1957) Cole Porter’s last major work (apart from a children’s television production of “Aladdin”) before his retirement in 1958. 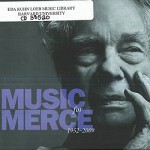 In tandem with the DVD, it offers a unique look over the shoulder of director George Cukor (legendary for his skill with “women’s pictures”) as he assembles a movie. It seems at first ironic that this film is billed as “Cole Porter’s Les Girls“, when Porter himself admitted the Les Girls songs were not up to his usual standard*. Suffering from the cumulative effects of a host of physical ailments and a series of heavy personal losses, Porter had been unable to summon up the sparkle and gleam of the previous year’s “High Society” score. Yet the picture itself, helmed and staffed by some of the most elegant minds in the business and starring Gene Kelly and three beautiful lead actresses (including the blazingly talented Kay Kendall), is redolent of the world of accessible sophistication conjured up by a good Porter song. Color consultant George Hoyningen-Huene (the man behind the haunting deep blues in Cukor’s “A Star is Born”) fills the frame with glowing blacks and startling pinks and rigs up a feathery collage for the credit sequence (note how he handles the transition between the credit for Porter’s music and that of Adolph Deutsch, who adapted and conducted it); John Patrick’s screenplay offers a clever, Rashomon-like plot (Taina Elg and Kendall play former showgirls with Kelly’s troupe, one of whom sues the other over an allegedly libelous memoir) and some wicked one-liners, and Jack Cole choreographs some lively dances (performed in clothes by Orry-Kelly). Robert Surtees’ cinematography makes the most of the multiple points of view and flashbacks upon flashbacks. Even tired Porter is still Porter. Les Girls is set mostly in Paris, in the backstage world of crowded dressing rooms, tiny, shared flats, cheap restaurants and third-class train carriages. In the musical numbers, this tawdry milieu suddenly becomes the scene for dazzling light romance. It’s not a bad last look at the man whose music and lyrics could confer instant urbanity on anyone who sang or played them.